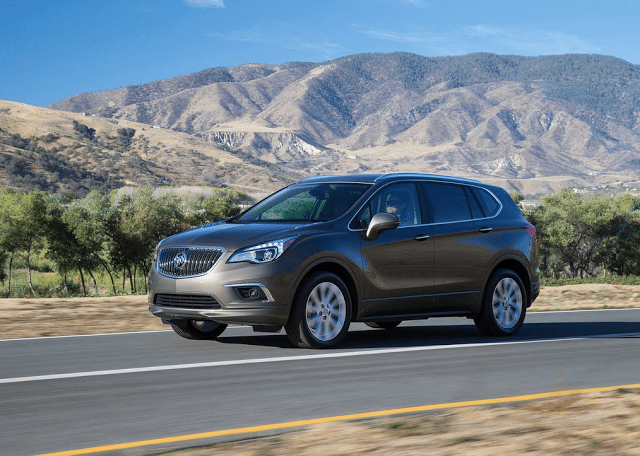 Here you will find monthly and yearly Canadian and U.S. sales figures for the Buick Envision. Buick’s two year old SUV has started life off really strongly. The 2017 Buick Envision is an all-new vehicle in the lineup that sits above smaller Encore and the midsize Enclave SUVs. With lots of features, tech, safety and space it is a great value SUV. This year the Envision added two lower trim levels that add the option of front-wheel drive. Don’t forget to check out the General Motors Sales Reports and the Buick brand compared with all other brands in the monthly Auto Sales By Brand post. See the Buick Envision compared with its rivals in the monthly small luxury SUV sales charts. Specific GM models and reports are here: General Motors, Buick Brand, Cascada, Century, Enclave, Encore, Envision, LaCrosse, LeSabre, Lucerne, Park Avenue, Rainier, Regal, Rendezvous, Terraza, Verano.